Logo design for the competition. The name of ACT comes after the initial letters of, Advance, Challenge, and Trust. For the color I chose red to express the speediness and excitement, which the client desires. 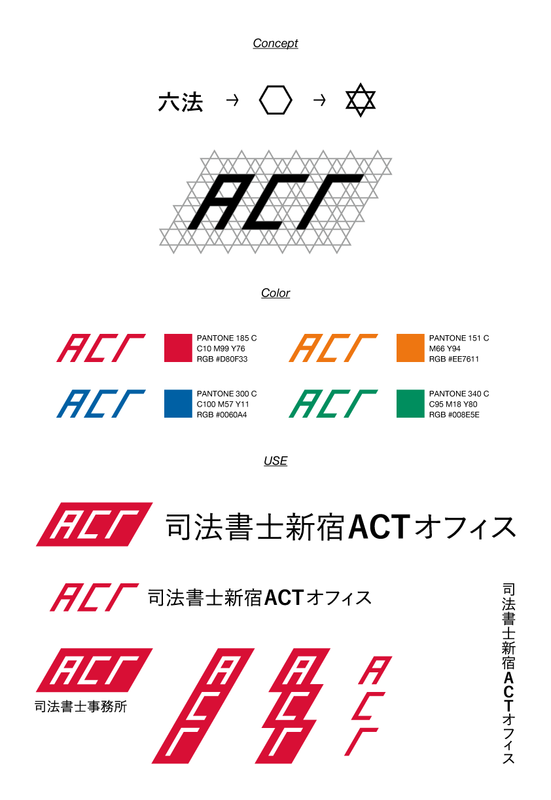 The shape of logo is composed from the idea that there are six types of laws in Japan. Since the typography is tilted 60 degree, that slope embrace the name Act and Advance.